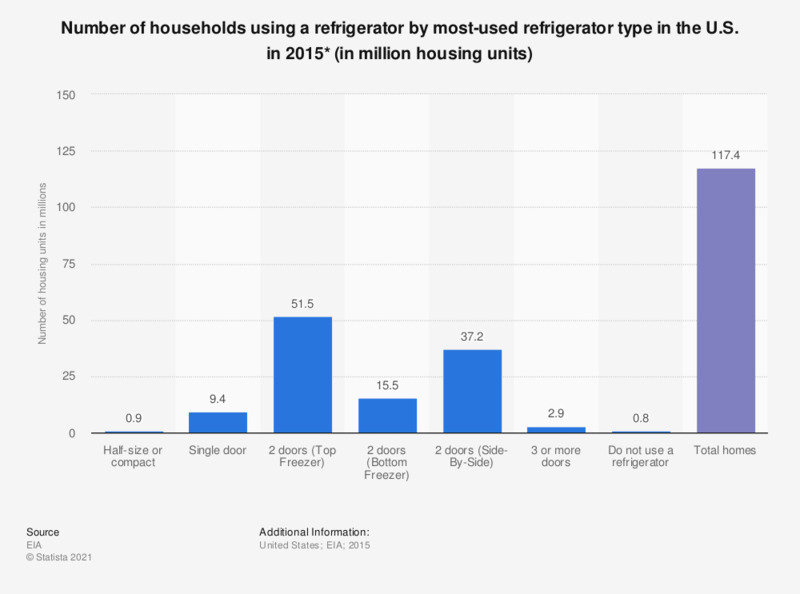 The statistic shows the number of households using a refrigerator by most-used refrigerator type in the U.S. in 2015. The inhabitants of 51.5 million housing units used a top freezer with two doors, in 2015. The total number of housing units was 117.4 million. Data include all primary occupied housing units in the 50 States and the District of Columbia. Vacant housing units, seasonal units, second homes, military housing, and group quarters are excluded.